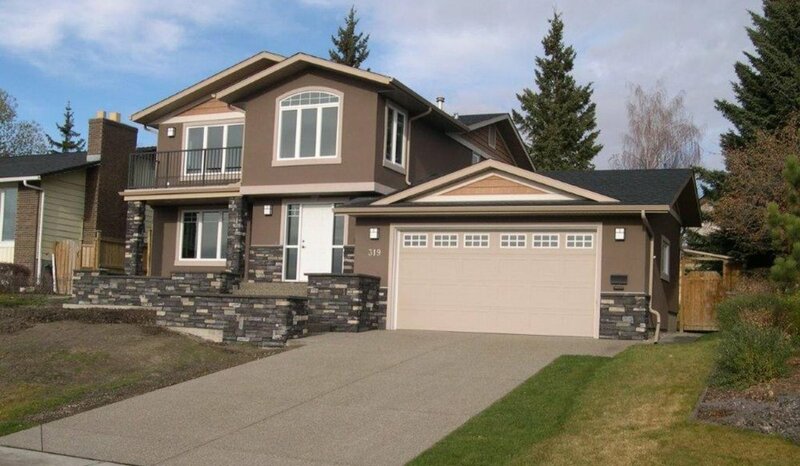 Channel Custom Builders are Calgary's home renovation experts, specializing in home additions for over 25 years! Contact us today to bring your Grand Plans to Life! Consider a home addition an investment in your family’s comfort and well being! Look to a full-service builder like Channel for design and construction expertise. The home pictured to the left is a prime example of what can be done with a typical Calgary ranch-style bungalow when a family is in need of a lot more space but does not want to re-locate. This “BEFORE” photo shows the home prior to being re-finished inside and out, with the addition of a new entry area and family room on the main level and an entirely new second level. The property upgrade was finished off with patios and planters front and back, a large double garage and deck in the rear, along with accessory stonework, fountains, gazebo, firepit and putting green! Plans for your home enhancements may not be quite as extensive, but the same thoughtful planning that went into this home renovation will benefit any size project. Superior space planning, design, project management, cost control, customer care and follow-up service…these are the hallmarks of our commitment to our valued customers. Do you have questions about your dream home addition? Channel Custom Builders have the answers. Serving the Calgary area for over 25 years, we've seen it all when it comes to home additions. Contact us today to bring your Grand Plans to Life!